Five Actions To Incorporate Gen-Y and Gen-i Into Your Operations Now | Fulcrum ConsultingWorks Inc. 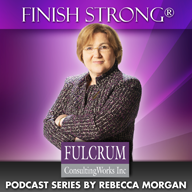 This entry was posted in Podcast Series: Finish Strong® and tagged Gen-i, Gen-Y by Becky. Bookmark the permalink.